There are over 40 million people in America suffering from swollen legs as a result of venous disease. 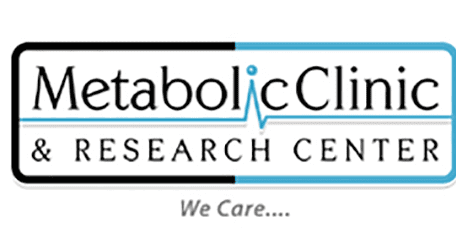 To get help relieving the discomfort, visit the Metabolic Clinic & Research Center. Patients in Boyle Heights and throughout Los Angeles can work with Dr. Khan to correct this venous insufficiency. What are Vein Problems? What is a Vein Program? Venous insufficiency is a condition that is the result of faulty valves in the veins. In veins which are healthy, one-way valves let the blood to flow toward the heart and not away. In diseased veins, the valves do not work properly and allow the blood to fall downward between heartbeats. This back and forth motion causes increased venous blood pressure resulting in inflammation of the soft tissues near the vein. This inflammation can cause skin discoloration, swelling, leg pain, heaviness, bulging varicose veins, restlessness, numbness, cramps, tingling, ulcers, Deep Venous Thrombosis (DVT) and blood clots. Vein insufficiency can worsen over time. A vein program will treat the condition before it causes further damage. Can I Perform a Self-Assessment? With the following items, if you answer yes to any of the questions you have venous disease and you consult a physician right away. Do you have bulging varicose veins? Have any family members had varicose veins or been treated for vein disorders? Do you have restless leg syndrome, leg pain, swelling, burning or itching skin, leg cramps, skin discoloration, heavy or tired legs, blood clots, neuropathy, or open ulcers on your legs? Do you stand or sit for large amounts of time? Have you been pregnant multiple times? What is Used as Vein Treatment? The treatment used for this disorder is endovenous thermal ablation. The procedure is minimally invasive and employs a catheter inserted into the diseased vein through a small incision. The vein is then exposed to heat which causes the walls to close. The body will then naturally re-route blood through the healthy veins in the area. Local anesthetic is used and the procedure is covered by most insurance providers. Patients can walk out of the clinic after the procedure and return to their normal activities in the same day. If you are concerned with your veins, contact the office and schedule a consultation with the doctor.